As women seek to cultivate an understanding of their lives, a mythological model can provide a tool for self-discovery and realizing individual potential. 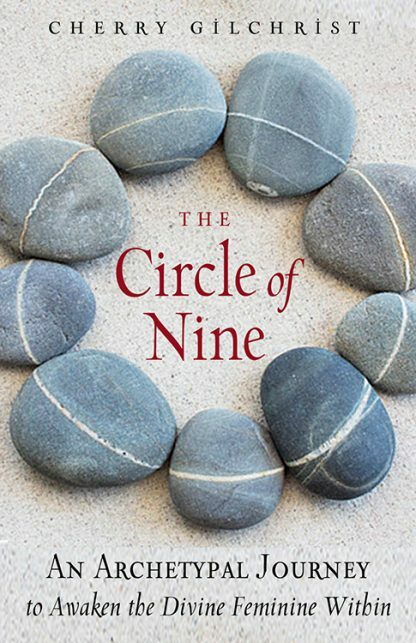 The Circle of Nine presents nine archetypes that represent different, but equally important aspects of the feminine psyche. They portray both the life of the individual and the story of woman as a whole�a circle of ever-changing patterns that is a source of wisdom and inspiration. Three Mothers, three Queens, and three Ladies form the circle. The Great Mother nurtures her children with a love that embraces the cycle of life; the Queen of the Night transforms the raw energy of instinct into skill and vision, and the Lady of the Hearth brings warmth and creativity into the home. By recognizing these and the other six archetypes of the circle, women can hold up a mirror to their souls to gain new perspectives and to unlock their potential. Drawing from history, her work with women�s groups, and contemporary observations, Cherry Gilchrist presents a mythology that explores the psychology of the modern woman. Her analysis, interpretations, and practical advice help to unravel the mystery of the divine feminine and provide a useful guide for daily life. Cherry Gilchrist has studied meditation, Tarot and Kabbalah since her early twenties. She has also been a lifelong member of the Nine Ladies association, concerned with renewing feminine spirituality. After gaining an MA from the University of Cambridge, Cherry has worked primarily as a writer, but also in a variety of roles, such as childbirth teacher, early music singer, lecturer, family historian, and owner of an arts and crafts gallery. As an author, and lifelong participant in the Western wisdom tradition, she has written definitive books on alchemy, Russian mythology, and divination. She lives in Devon, UK, with artist husband Robert Lee-Wade.